INVADERS ASYLUM: Sweet Suicide - A Soundworthy Mention! 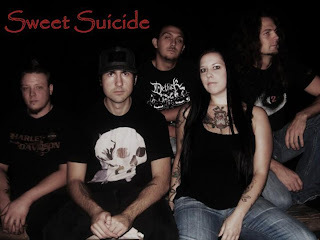 Sweet Suicide is a heavy melodic 5 piece band made up of members formally of Dying Design (Cindy Parr & Greg Lane) and Heschent (Moses Wells & Jesse Jenkins). Their new single "December" Is now available for download on their website. This is their first original song written by the members of the band. They are starting find their sound and as you can listen from their current track "December" they're well on their way of becoming a band to keep your eye on. 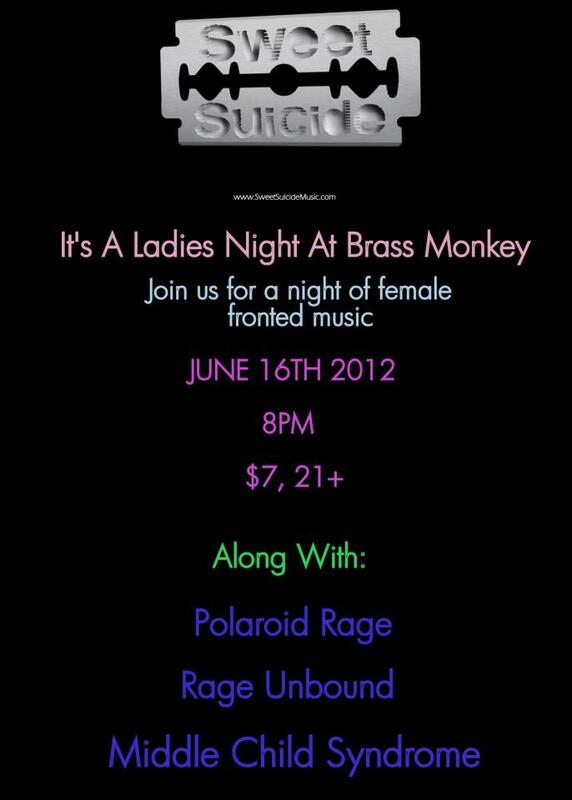 Being that Sweet Suicide is a Female-fronted band also adds that extra unique quality to the ensemble. "December" clearly has dark tone with a heavy rock/metal sound to back it up. 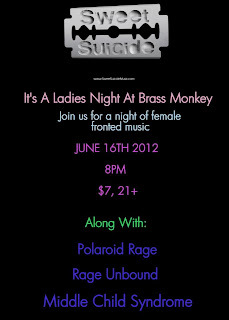 And then you add to it the vocals of Cindy Parr now you have an original Baltimore, Maryland sound. If you love bands like Evanescence, Shinedown, A Perfect Circle, Paradise Lost, Stone Sour & Halestorm then you'll definitely like this band a lot! Sweet Suicide are currently writing new material and hope to be releasing an EP sometime later this year. But in the meantime you can keep up to date with their Facebook page they are constantly playing live show for Baltimore's Metal Scene. Links below . . .
How awesome, thanks so much for the review! !